Electricity workers in Mexico City accidentally uncovered a massive stone sculpture in 1978. It turned out to be the Aztec Goddess of the Moon. Electricity workers in Mexico City accidentally uncovered a massive stone sculpture in 1978. 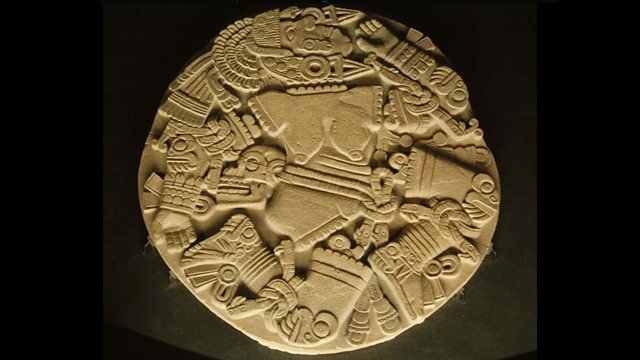 It turned out to be the Aztec Goddess of the Moon, Coyolxauhqui. The sculpture was found in an area where the Aztecs, 500 years earlier, had built the capital of their empire: the city of Tenochtitlán. The discovery changed the face of the Mexican capital. María Elena Navas spoke to Raúl Arana, one of the archaeologists who identified the sculpture as the Moon Goddess.